Q: How can the condition of one’s mouth affect the overall health of the body? A: Scientific research links the bacteria and chronic inflammation from periodontal disease to cardiac disease and stroke. Some progression of periodontal (gum) disease is present in 70 percent of adults. This rate is highest in males. Periodontitis, the more serious and destructive form of the disease, is present in more than 56 percent of men. This mouth inflammation increases the development of pathogens in arteriosclerotic blood vessels. Periodontal disease has an effect on cardiovascular disease, which decreases life expectancy. Your problem is that if these toxins are already in your arteries, damage is already happening. A: Periodontal disease is a biofilm infection of the tissues that surround teeth. It is caused by the accumulation of bacteria (long term plaque). It’s invasive and progressive, causing the structures that support teeth to break down (gums, jaw bone and attachment to the roots). As gums are damaged, pockets develop around the teeth. Untreated, more gum is destroyed and infection spreads down the roots to infect blood vessels and bone. Toxins from the mouth invade other body organs through the bloodstream. Even healthy teeth become loose, fall out or need to be extracted. Periodontitis is the primary cause of adults losing their teeth. Gingivitis is the milder and reversible form of periodontal disease. No bone loss yet. Q: What are the warning signs that I have periodontal disease? It is possible to have the disease and have no warning signs. There is no pain until the teeth loosen and move when chewing, or until abscess (pus) forms. 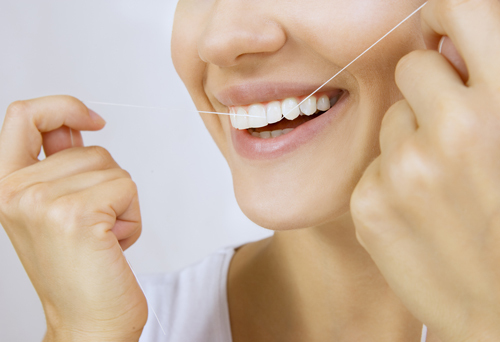 Q: What factors increase the risk of periodontal disease? Q: What is the treatment for my gum disease? A: With periodontitis, you will need more than a routine cleaning. A comprehensive dental exam with a complete series of X-rays and probing will detect the level of pockets and bone loss present. The treatment goal is to kill bacteria, reduce pockets, retain gum tissue and repair the existing damage and regenerate bone and attachment tissues. Q: How can I avoid and prevent the start of periodontal disease? Remember the health of your mouth affects your whole body. Care of teeth needs to begin at a young age. Treatment of periodontal disease needs to begin when first diagnosed. Seeing your dentist is part of your wellness program.